Lollipopping Cannabis: How to Do It Right! 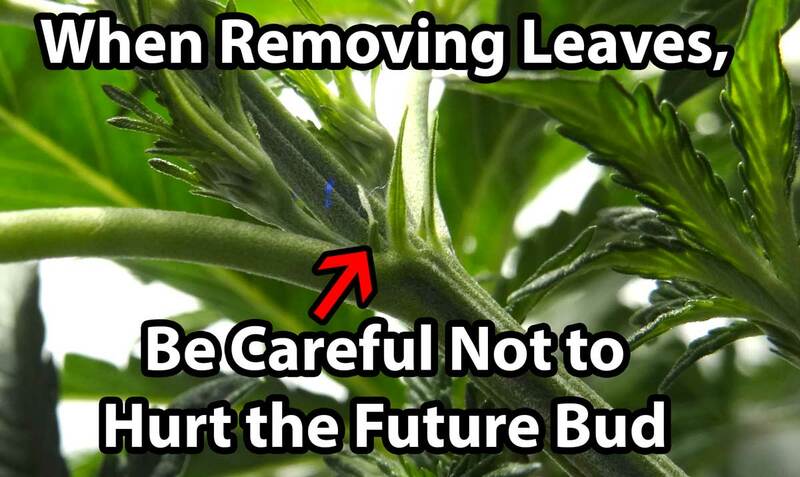 Lollipopping a growing cannabis plant means to remove most growth from the bottom of the plant that aren't getting light, while leaving untouched all the vegetation and bud sites at the top of the plant. This marijuana lollipopping tutorial will teach you how to increase your yields using this technique! This plant was grown naturally and it looked like this right before it was put into the flowering stage. It is a perfect candidate for lollipopping. 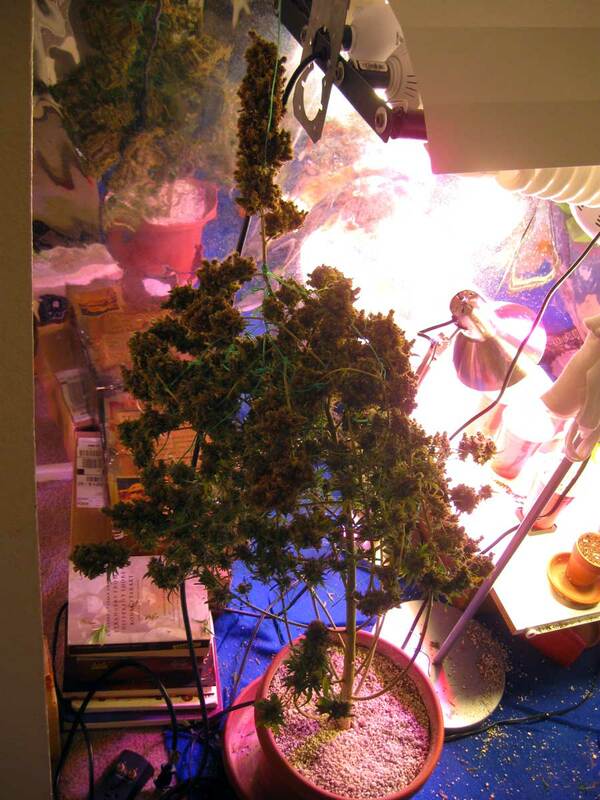 Soon after the plant started making buds, the grower noticed the bottom buds weren't getting any light, and as a result they weren't getting bigger. 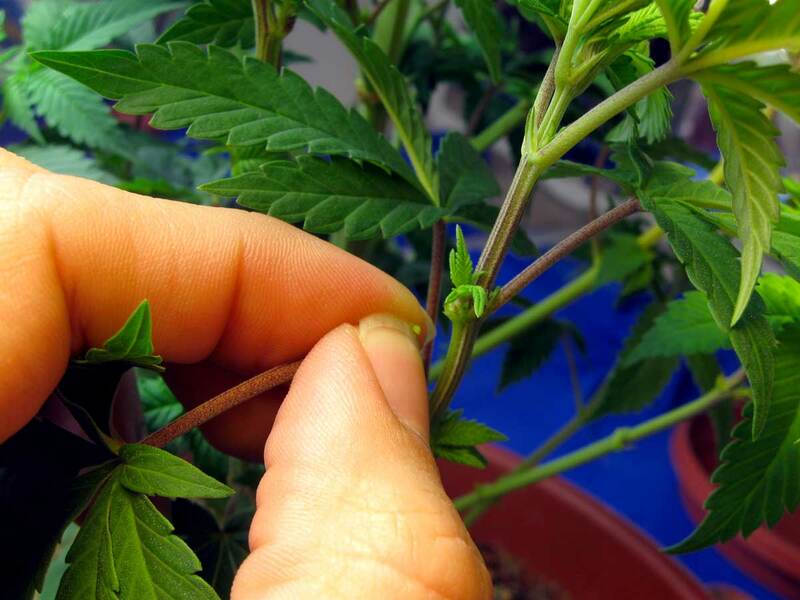 In order to help the plant focus on the top buds, the grower removed all the lower bud sites and leaves ("lollipopped the plant"). That cannabis plant just before harvest. 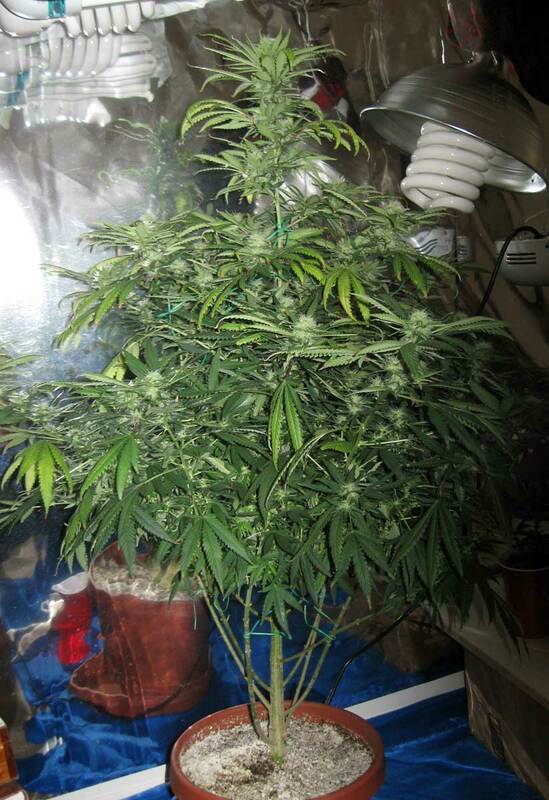 As you can see, every part of the plant is completely filled with buds, though notice how even though it's been lollipopped, all the biggest buds are at the top. 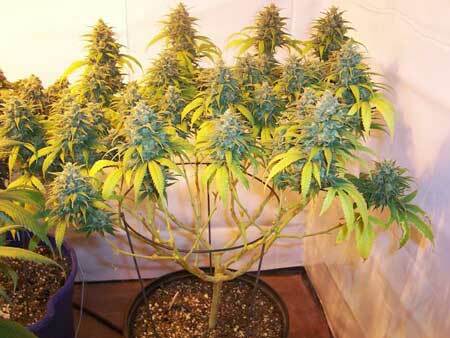 Buds that don't get light never fatten up properly. In fact, the whole idea behind defoliation in the flowering stage is to increase the amount of light that gets to bud sites. Buds lower down on the plant stay the small even if they get direct light from the sides. This is why many growers train their plants to grow flat (all the buds become top buds!) in addition to lollipopping. Learn the trifecta – how to train, defoliate and lollipop like a pro! I have had the best results lollipopping cannabis right before the switch to the flowering stage. 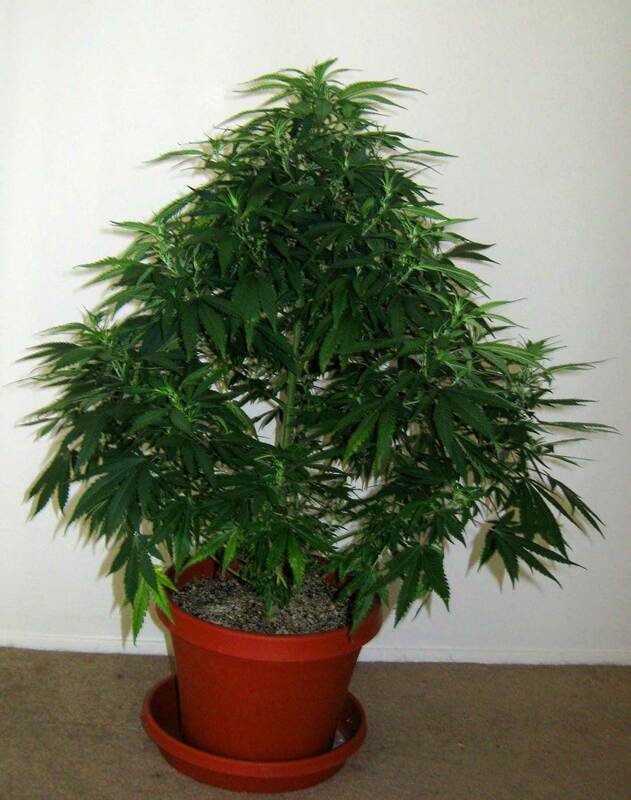 Growers often don't need to lollipop in the vegetative stage unless you haven't trained your plant and it's gotten very tall or out of control. Growers call the technique "lollipopping" because you're making the bottom bare like a lollipop stick 🙂 But keep in mind that removing too many bud sites can definitely hurt your yields! This grower stripped all the buds sites from the bottom of the plant while lollipopping, resulting in shortened colas. I've done this, too! His yield would have been bigger if he'd allowed those bud sites to continue further down on each stem! 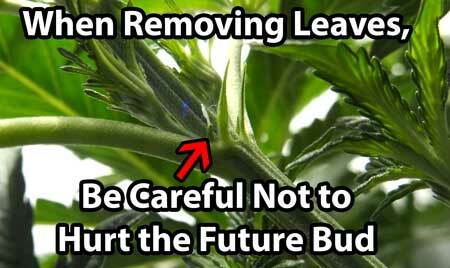 To prevent the problem with the plant above, avoid removing or damaging future bud sites whenever defoliating. It's easy to accidentally damage bud sites when they're just tiny pre-flowers like this one, so be extra careful when removing leaves! 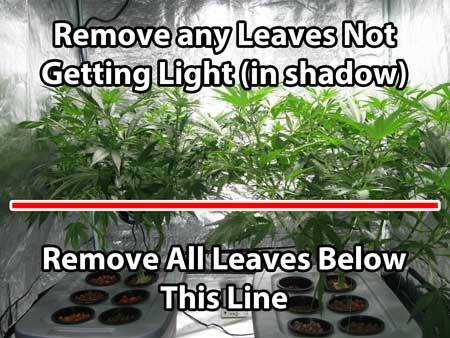 HPS, LEC and LED grow lights all penetrate much more deeply into the canopy. As a result, you do not need to lollipop as much, because more of the bottom will be getting direct access to light. 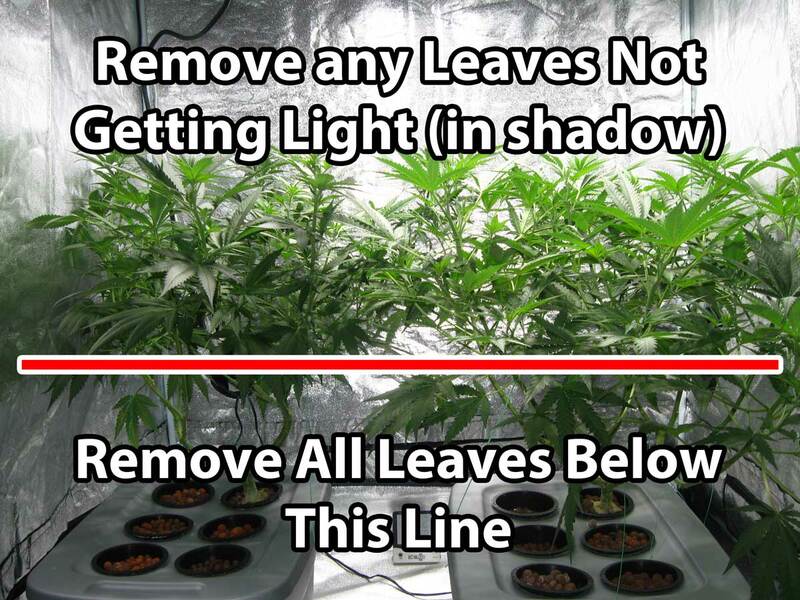 You don't want to remove growth that is getting light as it will turn into buds! Learn my exact technique from seed to harvest on how to train, defoliate and lollipop!